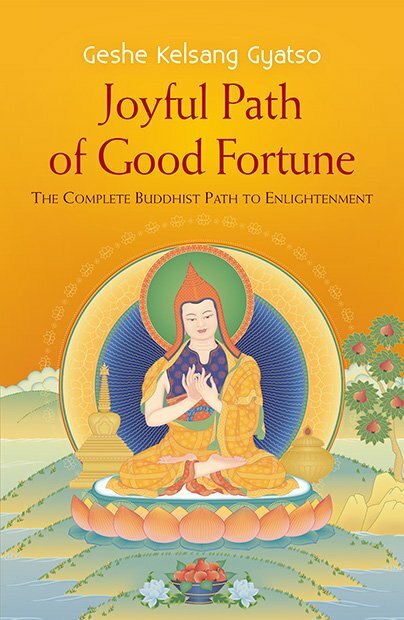 It is an invaluable compendium of essential Buddhist practices. When we meditate on the great value and rarity of this precious human life we are doing the analytical meditation that causes us to develop a strong determination not to waste a moment of our human life and to make full use of it by putting Dharma into practice. When this determination arises clearly in our mind we hold it as our object of placement meditation so that we become more and more accustomed to it. Although we now have a precious human life with all the freedoms and endowments, we may still find it difficult to practise Dharma purely because we may lack other freedoms such as the time to devote to study and meditation. It is rare to find anyone who has ideal conditions, but the most serious impediment to our spiritual development is our own failure to generate a strong wish to engage in practice. I need to practise Dharma. I must practise Dharma in this life. I must practise Dharma now. I need to practise Dharma because I want to experience happiness and avoid suffering, and the only perfect method for accomplishing these aims is to practise Dharma. If I do so, I shall eliminate all my own problems and I shall become capable of helping others. 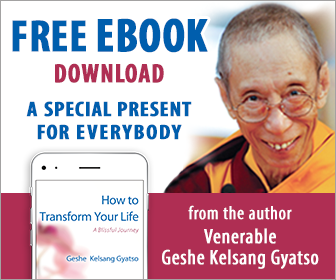 I now have a precious human life with all the freedoms and endowments, and I have all the necessary external conditions such as a fully qualified Spiritual Guide. There is no reason why I should be incapable of practising Dharma. Even though we may understand the need to practise Dharma and may feel capable of doing so, we may still delay, thinking that we shall practise in some future life. To overcome this laziness of procrastination we need to remember that since it will be very difficult for us to gain another precious human life we must practise in this very lifetime. Even though we may see that we must practise in this very lifetime, we may still feel that our practice can be postponed until our retirement. To overcome our complacency we need to remember that the time of death is most uncertain and so the only time to practise is right now. I will practise Dharma in this very lifetime. I will practise Dharma right now. These four resolutions are invaluable because they make us generate naturally a spontaneous and continuous wish to take full advantage of our precious human life. This wish is our best Spiritual Guide because it leads us along correct spiritual paths. Without it, no amount of advice or encouragement from others will lead us to practise Dharma. On one occasion Aryadeva and Ashvaghosa were about to have a debate. Ashvaghosa was standing on the threshold of a room with one foot inside and one foot outside. To test Aryadeva’s wisdom he said ‘Am I going out or coming in?’ Aryadeva replied ‘That depends upon your intention. If you want to go out, you will go out. If you want to come in, you will come in.’ Ashvaghosa could think of nothing to say to this because what Aryadeva had said was perfectly correct.